One Cromly reader proudly shared photos of her home, and we loved it so much we decided to check it out ourselves. Sophia Lim, 26, product designer, is a girl with the sunniest of personalities. 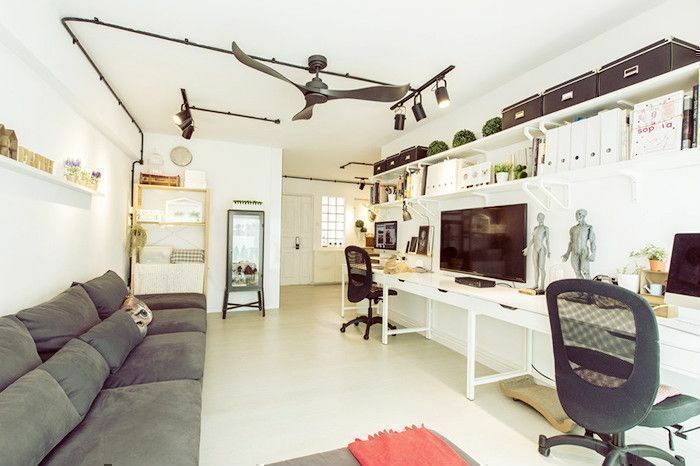 Her happy disposition is translated into the three-bedroom HDB flat in Punggol she shares with her husband Maqiyin, who works as a game artist. Their home is a mix of Scandinavian, minimalist, and industrial, punctuated with scores of charming accents and accessories that give the space its cheerful vibe. The couple lives with their cat Pumpkin, fat and famous Pumpkin, apple of their eyes, light of their lives. Sophia and Maqiyin moved to this flat last June 2014. They took care of the designing themselves, assigning a contractor to help them out. The month-long renovation was a smooth process, Sophia admits, and it helped that the space is airy and spacious to begin with. Floor to ceiling glass windows in the living room automatically mean getting a generous helping of sunlight day in and day out. "Windows are really huge. 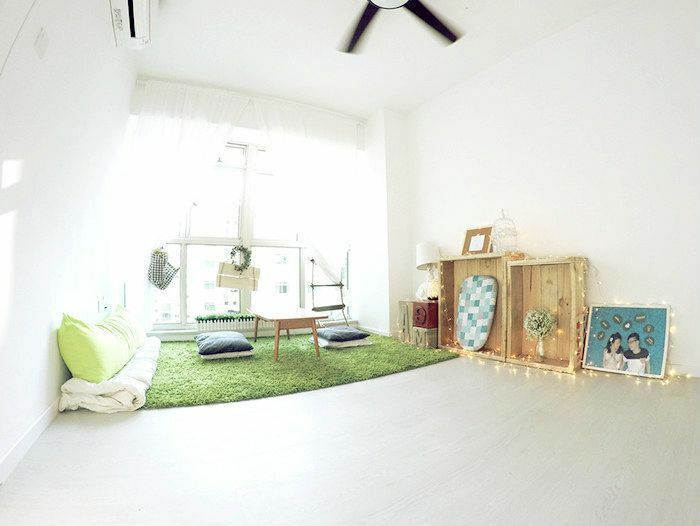 We love this space when we stepped in," Sophia says. At first glance, the apartment is unabashedly Scandinavian: pared-back furniture, simple and straightforward lines, wooden shelves and tables, gallery-white walls, lots and lots of light. 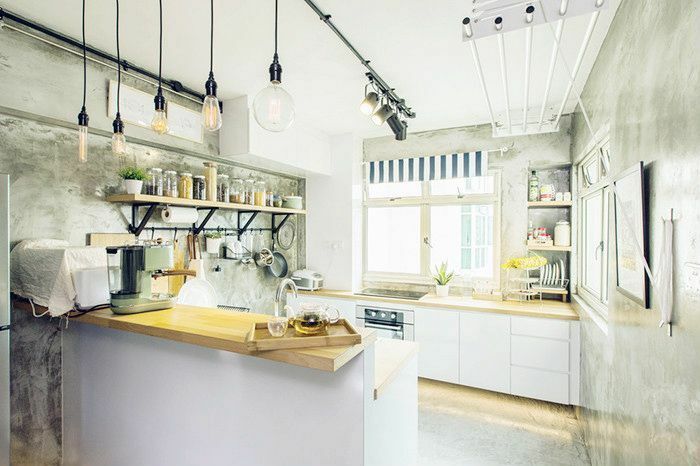 But step inside the kitchen and you will see industrial, and if you stay long enough in the dining room, you will discover that it is strongly influenced by the kitschiness of Japanese zakka. What ties the look all together is that the home is "95 percent Ikea," Sophia says. Ikea is the canvas, the foundation on which the couple created the look of their home. The shelves and desks, the dining table, the shoe shelf, the sofa, practically every furniture in this house was sourced from Ikea. "I like their design somehow. We went to the showroom and we looked at the furniture—we always tried to find the matching pieces. We went down to Ikea many, many, many times," quips Sophia. "We measured a lot and made sure everything fit into our home." "Ikea furniture are our basics, and we just added the [finishing] touches," says Sophia. And that's how this place went from an Ikea home to an eye-candy. "This area is supposed to be a living room, but we converted it into a study because we spend most of our times in front of the computer. We didn't want to spend our time in the common room, which is so small." Featuring the couple's computers, books, indoor plants, this is where they spend most of their time, and where Pumpkin is often seen as well (Spot him!). 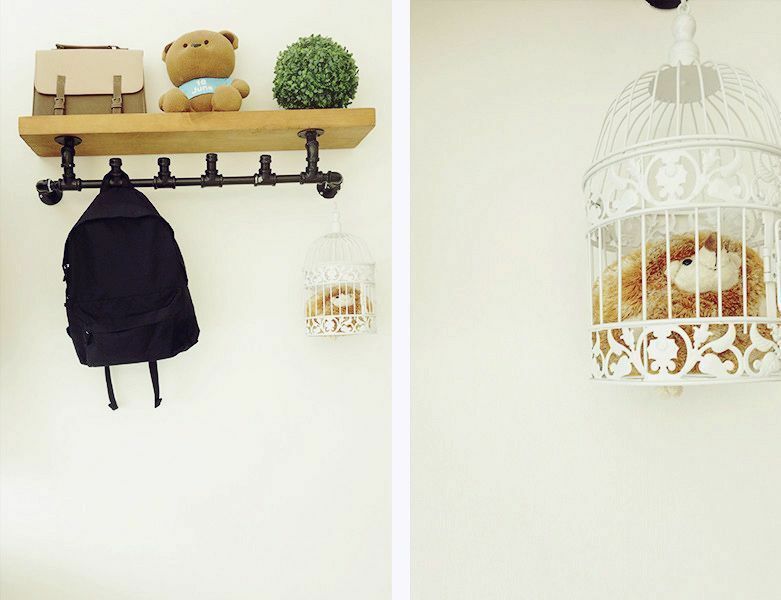 This space also features small decorative accessories bought from Daiso and Taobao. Here is Instagram superstar Pumpkin (with over 1,500 followers!) camping on the sofa sourced from Ikea. A corner of the study room accommodates Sophia's indoor plants. The wooden crate is from Sophia's office, repurposed as storage. "The little things, the little ornaments...these are what I like about my home, too!" Sophia exclaims. A glass display cabinet holds Maqiyin's toy collection, which showcases Disney characters, Star Wars figures, and other villains and superheroes. From here you can see the dining room filled with all things Ikea: the shelf, shoe shelf (near the entryway), the dining table, the bar cart, and the chairs. To make the dining area more personal and homey, Sophia added her accessories and accents. 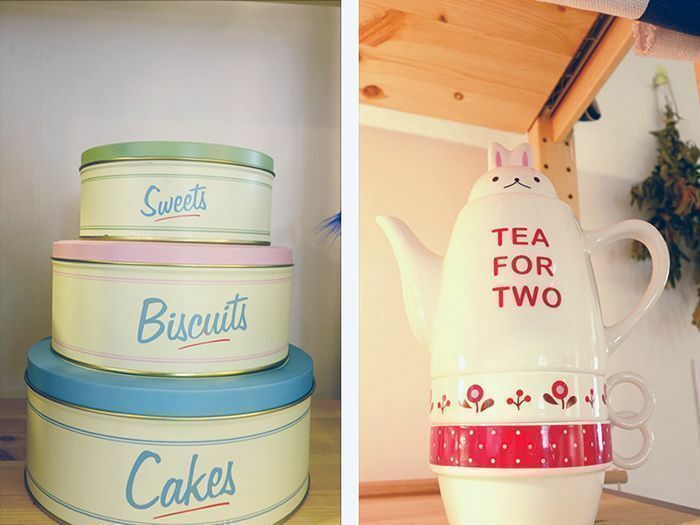 She is a fan of zakka, a design phenomenon from Japan which capitaliseto ms on kitschy and cute things—and this is reflected in the dining room. "I like the little ornaments. They're all over my house, but they're more emphasised in the dining area." 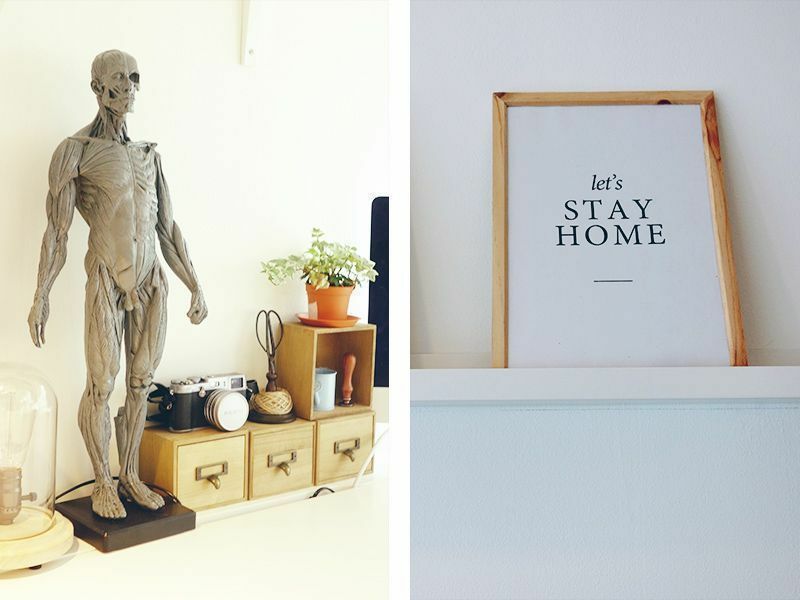 One of Sophia's favourites in their home is the deer head from Typo and the small drawers from Taobao. "You can get everything from Taobao," laughs Sophia. The couple wanted their dining room to be cosy and clean, with a touch of quirky. Their bikes against the wall give the place a playful boost. The mirror on one end of the dining room visually expands the area and makes it all the more vibrant and illuminated. 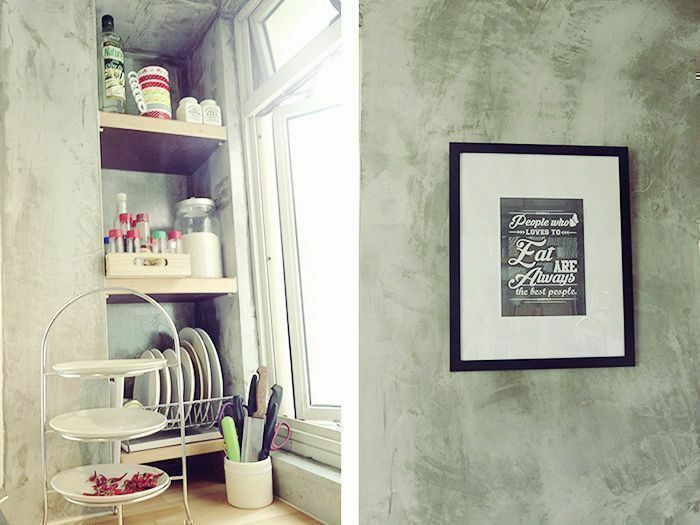 "For the kitchen, we really like the cement look, a bit of industrial. We want to display our utensils out, so it brings out the kitchen feel." Glass jars filled with different ingredients are neatly lined up on the shelf, showcasing a clear example of smart storage. The potted plant and the framed black and white artworks keep the area from looking too utilitarian. While the interior style points to the practical and unfinished look of industrial, the blue and white striped fabric by the window provides a surprisingly dainty touch, and the matte white cabinets keep the look updated and contemporary. "The shelving in the kitchen is made from leftover worktop," adds Sophia. "Our bedroom is just simple," says Sophia. Devoid of fancy furnishings, it only houses the bed, the open wardrobe, a full-sized mirror, and a couple of dainty decorative pieces. A light-up headboard with buntings—also bought from Taobao—lends the place a charm, consistent throughout the flat. As soon as you open the door to the master bedroom, you will immediately find the wall-less and doorless bathroom to your left. "We wanted an open bathroom. I feel it's very cramped and concealed when the wall is there. When you take out the wall, it looks so much bigger." 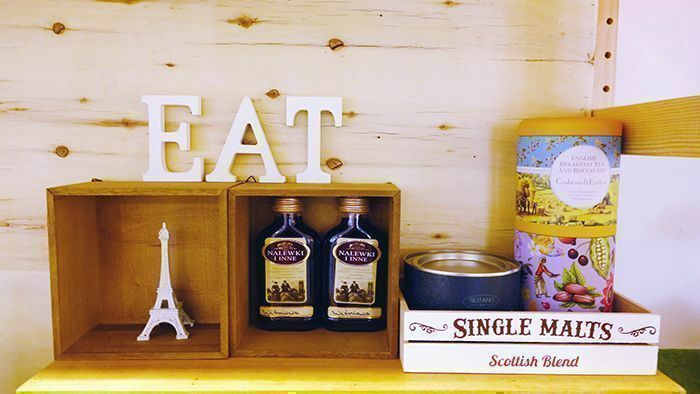 A wall in the bedroom is devoted to this shelf of delightful things. The common room was made into what Sophia calls the "tea room," where the couple hosts their gatherings and receives their guests. Sophia says this is where she and her friends hang out when her husband is in the study room, working. "And this is my cat's favourite place," she adds. Artificial tuft, wooden materials, and indoor plants replicate the cosiness of outdoor spaces. The massive and comfy pillows are a big plus. Ideal for afternoon tea, indeed. This dainty DIY setup inside the tea room echoes Sophia's love for pretty things. The other common room turns into a guest room for Maqiyin's parents when they visit. Each corner in this tiny space serves a function: one is for the sofa bed, another for the laundry, and the third for a study table and shelf filled with towels and other curious trinkets. With a renovation budget of $40,000 including the furniture and furnishings, Sophia and Maqiyin were able to create a home straight out of a Pinterest DIY Home Decor board. For all its carefully curated decorations and DIY setups and prettified Ikea pieces, for Sophia and Maqiyin, what makes their house really worth coming home to is their cat Pumpkin, loved beyond words. "My cat makes my home special," Sophia beams. 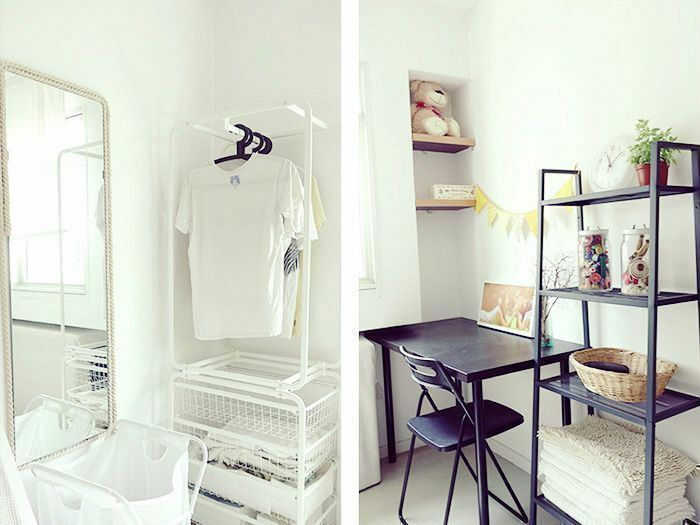 That their HDB flat is such a happy-looking and sunshine-y home is just a big bonus. 1. When purchasing items from mass-produced brands like Ikea, make your home uniquely yours by accessorising. 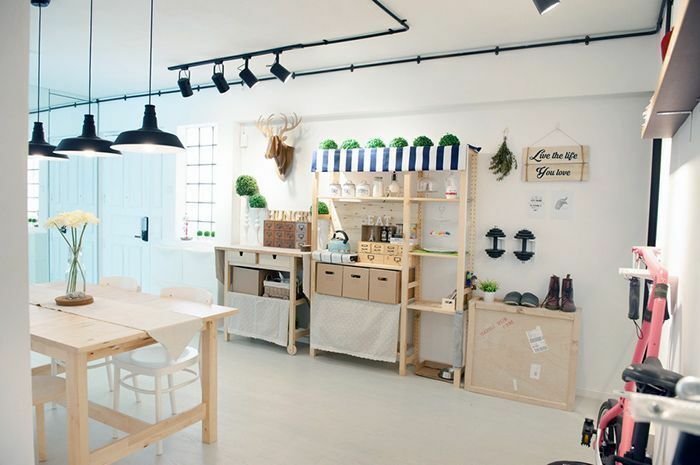 Also, take inspiration from Ikea showrooms. 2. Have your visual moodboard to inspire you and give you a feel of what you like. 3. Go on Instagram and trawl for inspiring photos. Bring elegance and beauty into your home with Whatevergift’s dazzling collection of high quality and affordable water fountains and other home accessories. Not only are they must-have decors for your home, they're also perfect as gifts! A subsidiary of Fossil Collections, Whatevergift has been distributing water features and other products to markets in Indonesia, Malaysia, and Singapore. Visit their showroom at 1 Syed Alwi Road #03-03 Song Lin Building Singapore 207628, or check out their water fountains at Takashimaya Shopping Centre and Marina Bay Sands. For more information, call 6738-4541 or visit http://www.whatevergift.com and their Cromly Catalogue account.